PASADENA, CA - February 9, 2019 -- "When Hope Calls," Crown Media Family Networks' first-ever streaming series, will premiere August 2019 on Hallmark Movies Now, the network's digital streaming service. The series is spawned from Hallmark Channel's longest-running, most-watched primetime series to date, "When Calls the Heart," currently entering its sixth season. The announcement was made today as part of Crown Media Family Networks' bi-annual Television Critics Association Winter Press Tour. "'When Hope Calls' embodies the same heartfelt themes of community, family and faith that have resonated so strongly with 'When Calls the Heart' fans over the past six years. This is another series that viewers are sure to treasure," said Michelle Vicary, Executive Vice President, Programming and Network Publicity, Crown Media Family Networks. "The series rounds out the experience we are offering loyal viewers in 2019. Along with our linear networks, publishing and podcast platforms, our SVOD service is another way to enjoy the original content our brand is known for," Vicary concluded. "When Hope Calls" follows Lillian (Morgan Kohan) and Grace (Jocelyn Hudon), sisters who were orphaned and raised very differently, as they reunite as adults and open an orphanage in a small Northwest town in the early 1900s. The town and its people are on the cusp of change, transitioning from the simple times of the horse and buggy to the more modern times of cars and technology. The characters were introduced in the 2018 ratings record-breaker, "When Calls the Heart: The Greatest Christmas Blessing." Hallmark Movies Now launched in October 2017. Subscribers to the service have access to a robust library of content not available on Crown Media Family Network's linear channels, with new programming available every week. Hallmark Movies Now is available on iOS, Android, Roku and Amazon Fire, among other devices. The SVOD service is also now available over the Internet on both Comcast's Xfinity X1 and Cox's Contour platforms. BEVERLY HILLS, CA – July 26, 2018– Crown Media Family Networks’ first-ever streaming series, “When Hope Calls” (wt), is in development to premiere in 2019 on the company’s SVOD subscription service, Hallmark Movies Now. 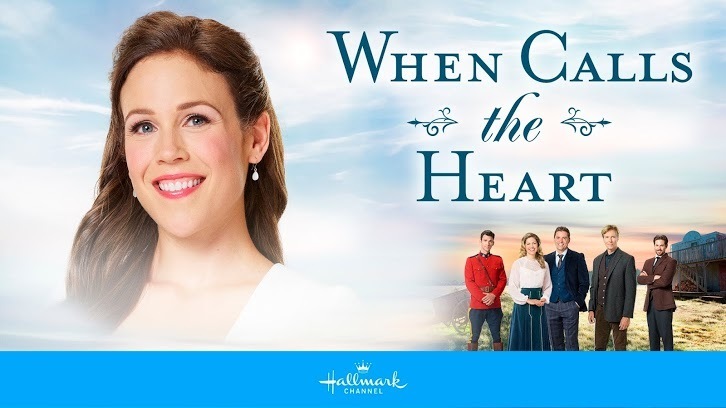 The series is spawned from Hallmark Channel’s longest running, most-watched primetime series to date, “When Calls the Heart,” currently entering its sixth season on the network. The announcement was made today as part of Crown Media Family Networks’ bi-annual Television Critics Association Summer Press Tour. Hallmark Movies Now launched on October 3, 2017. Subscribers to the service have access to nearly 1,000 hours of family friendly content not available on Crown Media’s linear channels, with new programming available every week. The SVOD service is available on iOS, Android, Roku and Amazon Fire, among other devices.